From the city centre, you can get the number 130 bus from Lower Abbey Street to the Bull Wall. 1.Go to N53 22.344, W006 09.471. Depending on when you visit this cache, your observations will vary. Based on your direct observation, name and describe TWO landscapes that lie before you at this location. 2.Go to N53 22.169, W06 08.613. Do you see primary dunes, secondary dunes, or both? Note the water roughness and wave action you can see at this location for question 4. 3.At N53 22.448, W006 09.840. Name the three plants listed as growing in the alder marsh section of the island as stated on the information board about North Bull Island located at the causeway access point to the island. Depending on when you visit this cache, your observations will vary. Describe the difference in the water roughness and wave action of the water between this location and the location of the dunes in question 2. 5.At the same co-ords as above, depending on when you visit this cache, your observations will vary. Tell me is the tide coming in or going out, and how did you arrive at that conclusion? note: If the tide is far out when you visit this location, describe what you see before you. The following is optional and NOT a requirement to log your visit - photos from your visit are very welcome with your log. 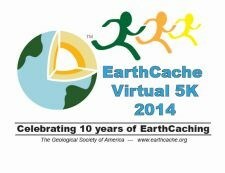 Feel free to upload any wildlife/plant life/landscape photos you take during your visit to the earthcache site. Do not wait to log your find. 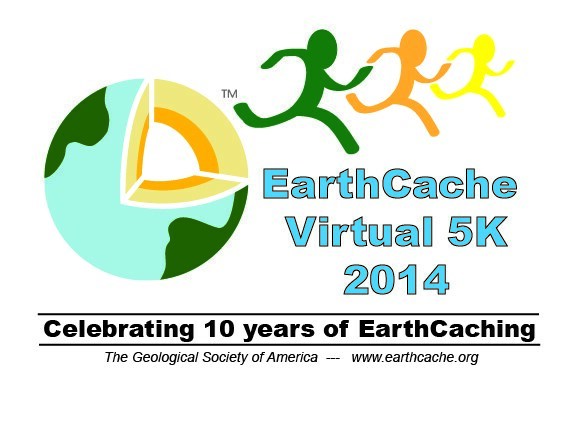 As soon as you have emailed the answers via our profile, please log the cache as found. Note: You will be contacted if no answers are received or if there are any issues with your answers. 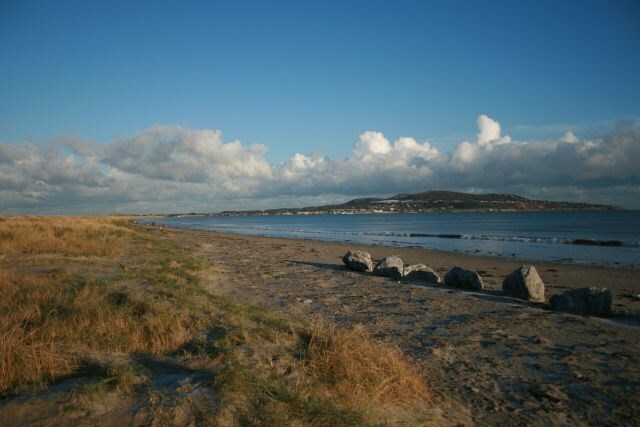 The North Bull Island developed from a sandbank and is a relatively recent depositional feature to the Dublin coastline. The island is less than 200 years old. The name is derived from the locality, Clontarf, which in Gaelic is Cluain Tairbh meaning the Bull's Meadow. What is fascinating about the island is how it came to exist, and how it has developed into the island you see today. It is a site of both national and international scientific interest. A sandspit is a form of coastal deposition that occurs as a result of sediment being deposited that may have come from rivers, and/or cliff erosion. Human impact may increase the supply of material available which is what happened with North Bull Island. It formed due to sedimentation accumulation resulting from the construction of a harbour wall for Dublin port. 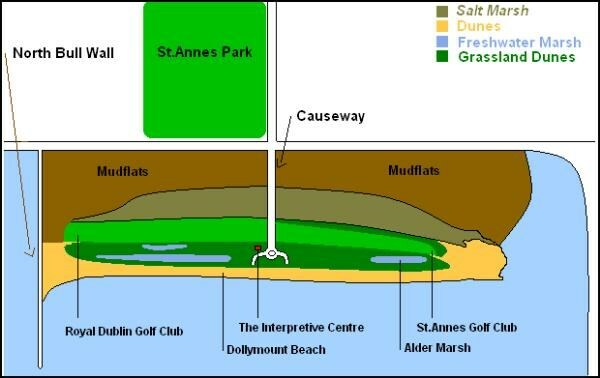 Dublin Bay had a problem with silting for a long time at the mouth of the River Liffey. After years of dredging to keep a clear channel, attempts began in 1715 to build a wall which was to later become the Great South Wall, completed in 1830. The first barrier that was built was destroyed by a storm, so in 1761 work began on a stone pier starting from the Poolbeg Lighthouse. In 1768, back at shore, the construction of a massive granite wall began and was completed in 1795. 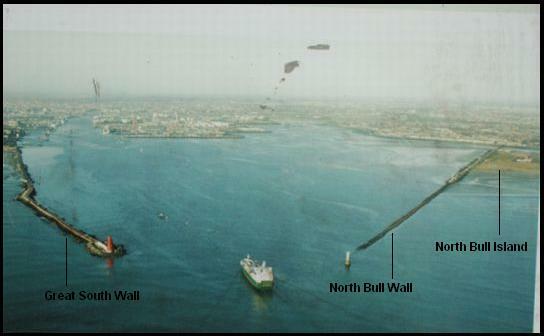 During this time, the building of a North Bull Wall was proposed as the south wall hadn’t solved the silting problem. Captain William Bligh, of ‘Mutiny on the Bounty’ fame, surveyed Dublin Bay for the Ballast Board in 1801, highlighting the potential of the North Bull sandbank, a small dry part of the North Bull which was directly adjacent to the large 18th century mansion known as Baymount (Now known as Manresa House). A wooden bridge was erected in 1819 to enable the construction of a stone wall. The Bull Wall (which is 1km long) was completed in 1821. The section of the Bull Wall from the statue ‘Realt na Mara’ (Our Lady, Queen of the Sea), to the lighthouse is known as the half tide wall. This is covered at high tide. 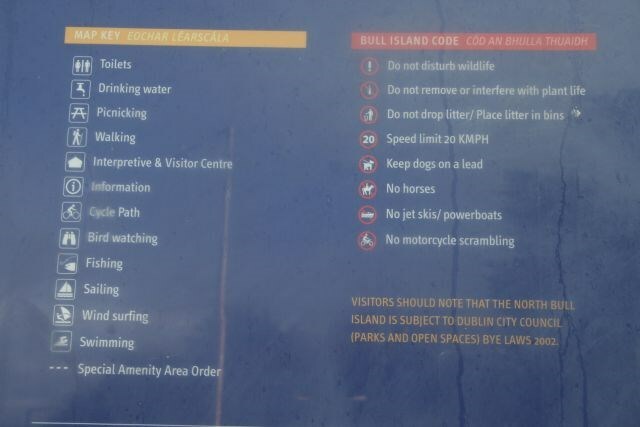 The purpose of the half tide wall and the wooden bridge section of the bull wall was to act as safety valves to prevent damage to the wall from the pressure of the full tide. Gradually, the channel into the River Liffey deepened. The water level increased from 6ft to 16ft at low tide. Wave and current action deposited and reworked the sediments on the seabed. The sand that was dislodged got carried out into the bay, picked up by currents and then deposited on the North Bull Bank behind the north wall. This was the beginning of North Bull Island. The image below is a rough map of the area resulting from sediment deposition. The island reached its current length in 1902. It is approx. 5km. long and 1km wide at its widest point. The area above high tide is 300 hectares approx. and the Island continues to grow seaward. A sandspit is a type of shoal. Shoals are typically long and narrow and develop where a stream or ocean current promotes deposition of granular material. The end of a spit attached to land is called the proximal end, and the end jutting out into water is called the distal end. One end is more protected than the other, and mud flats/salt marshes may develop in sheltered areas behind them as is the case with North Bull Island. Spits develop hooked ends due to wave refraction which occurs at the end of the spit which carries some material into more sheltered areas. 3. The mud/sand flats of the lagoon. A well-developed and dynamic dune system stretches along the seaward side of the island. Various types of dunes occur, from fixed dune grassland to pioneer communities on foredunes. The dune system and beach is composed of sea/tide borne and wind blown sand particles. Sand is a naturally occurring granular material composed of finely divided rock and mineral particles. As the term is used by geologists, sand particles range in diameter from 0.0625 to 2mm. An individual particle in this range size is termed a sand grain. In dune formation, marram grass plays a vital role in binding the sand together with its roots and underground stems which can grow upto 5 meters long. They send out horizontal root stems called ‘rhizomes’ under the surface to push up new growth short distances away.These roots stabilize the dune and above ground plant structures intercept and trap more sand. Dunes can form without plants but they will be smaller than the potential size they could reach if plants were able to establish and grow. The dune closest to the ocean is the primary dune, or foredune, followed by what are called secondary dunes or back dunes. Each landscape type has its own distinctive vegetation. An interesting mini eco-system is located in a large dune slack known as the Alder Marsh (because of the presence of Alder trees) at the north end of the island enclosed within the dunes at water level, and features its own distinctive plant and insect life. The mudflats are in the inter-tidal zone beside the salt marsh. Mudflats may be viewed geologically as exposed layers of bay mud, resulting from deposition of estuarine silts, clays and marine animal detritus. Most of the sediment within a mudflat is within the intertidal zone, and so the flat is submerged and exposed 2 times a day approx. The island shelters two intertidal lagoons which are divided by a solid causeway. The sediments of the lagoons are mainly sands with a small and varying mixture of silt and clay. The seabed at the mouth of Dublin Bay infront of North Bull Island shows the dynamic sedimentary processes operating in the Irish Sea. The large sandbank located in the centre of the bay (known as Burford Bank) is a notable seabed feature. From a geological perspective, the sand waves at the northern and southern ends of the bank illustrate the strong tidal currents moving in the area which created and maintain this stunning seabed feature. It has been suggested that there is a possibility that within the next 50yrs, continued deposition on bull island may lead to it merging with the mainland at Red Rock in Sutton, forming a lagoon and changing the make-up of the area. However, the risk of this is considered very small due to the strength of currents and depth of water in Sutton Channel. Several of the city's small rivers and streams enter the bay here, notably the Naniken River, the River Tolka, the Santry River, Fox Stream, Blackbanks Stream and Daunagh Water. The island is currently connected to the mainland by means of the old wooden bridge and a causeway which was built in 1964 to facilitate the volume of people visiting the island. The growing number of visitors was also helped by the introduction of the horse tram services to Clontarf in 1873, and further by the tram line to Howth, which opened in 1900, and stopped in the Clontarf / Dollymount area. The island lies roughly parallel to the shore off Clontarf (including Dollymount), Raheny & Kilbarrack, and faces Sutton. Between the causeway access point to the island and half way up to the North Wall lies St.Anne's park (Dublin's 2nd largest park) North Bull Island is run from the depot in this park. Dublin City Council care and maintain the island through the parks and landscape services division. The proximity of the park to the island means that there is a very large area of the city suburb for an abundance of plantlife and wildlife to thrive in and enjoy. As a result of this landscape formation from the sea, an abundance of wildlife and plantlife now exists and thrives on the island. 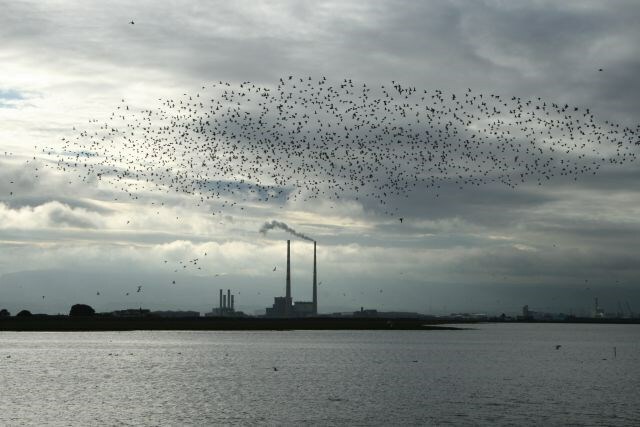 The island was declared a bird sanctuary in 1931 and is protected under the Irish Wildlife Act. The island was declared a Biosphere reserve by UNESCO (United Nations Educational Scientific and cultural organization) in 1981. Biosphere reserves are sites which demonstrate approaches to conservation and sustainable development. The island was designated a National Nature Reserve in 1988 and a wetland of international importance under the Ramsar Convention. There is an interpretive centre located at the end of the causeway (see additional waypoint co-ords) which assists in the understanding of the unique flora and fauna and specialised habitats of the island. 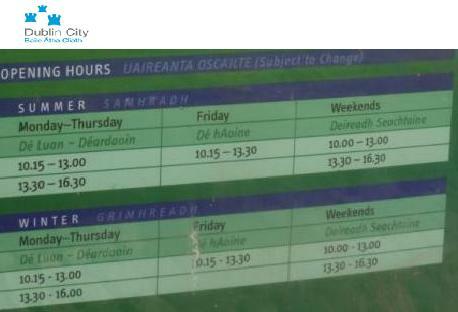 It was constructed in 1986 through Dublin City Council Parks and Landscape Services who also run the facility. The centre serves to inform and educate the thousands of schoolchildren and members of the public who visit every year. The centre has a lecture theatre, a natural history museum, and an aquarium. You can view the exhibits and use the telescope to watch the birds outside. And it's all for FREE!